There are less than 22,000 lions in this world and yet, they evoke more awe than Vladimir Putin or Barack Obama. I learnt why when I discovered that the wild cats sleep up to 20 hours a day. And sometimes when they have a big meal, the resting might stretch to 24 slumberous hours. How royal is that. Another fact to put things in perspective: it seems the liona��s roar is audible from a distance of 8 km. With such a booming voice, ita��s understandable why nearly 13 countries have opted for this majestic being as their National Animal. Surprisingly though, there are only 523 lions in India. Despite this, the Panthera leo persica has had a disproportionate influence on our culture. For centuries, Rajputs proclaimed their manliness with the a�?Singha�� surnamea��which, as you know, is derived from the Sanskrit word for lion. From 1699, many generations of adorable sardarjis have made it their last name. So we would have had no Khushwant Singh, Sushant Singh Rajput, Shatrughan Sinha or Ashok Singhal, if not for the lord of the jungle. Even Bollywood action flick Singham flows from the Tamil word for a�?liona��. The entire Sinhalese race trace their lineage to Prince Vijaya, whoa��s supposed to have landed on the island with a lion flag in his hand. Likewise, Singapore or Simhapura (Lion City) owes its origins to the sighting of a sea monster (half fish-half lion) by the King of Malays, when he dropped anchor there. The Turkic-Arabs were also in total thrall to the beast. The names Abbas, Asad, Babar, Haider and Osama are all one-word odes to the lion. The Europeans were as fascinated. The Leonardo in Leonardo da Vinci means a�?strong as a liona��. 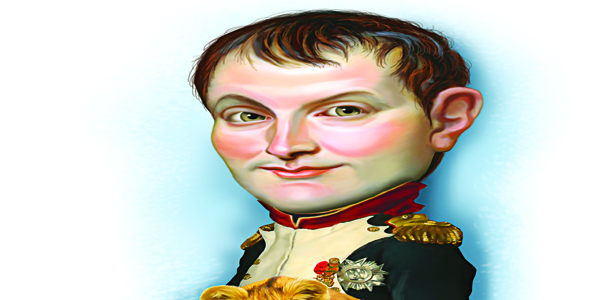 The French Napoleon was inspired by Italian Saint Napoleone, which in turn, literally means a�?Lion of Naplesa��.A� By the way, Sunny Leone has a�?Liona�� written all over. Now you know why shea��s a man eater. Leander, Ariel, Xerxes and Lionel are some other names that remind you of the mane. Marketing mavens who know a thing or two about milking powerful symbols have often appropriated the lion by making it their logo. Movie studio MGM, Swedish car Saab, advertising award show Cannes Lions, the soccer extravaganza Premier League, French automobile giant Peugeot and our local Lion Dates Syrupa��they all ride on the liona��s back and have raked in the big bucks. Still wondering if ita��s worth entering the den?